The Divorce Center is not just an "internet company" like so many out there. We are a real company, with offices all over New York and New Jersey, with real people that you can come in to see and speak with, face to face. 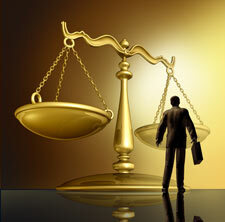 The Divorce Center is one of the oldest and largest paralegal services in the world. After more than 37 years in business, we have helped over 200,000 customers obtain Uncontested Divorces at a low price. With locations throughout New York and New Jersey and our "DIVORCE BY MAIL" service, The Divorce Center is able to provide the best service at the best possible price. We are experts, specializing in New York and New Jersey. Beware of companies that try to cover the whole country, because it is impossible to do a good job at that. All States are completely different, as are all counties. The Divorce Center has been a "Member of the Better Business Bureau" in New Jersey for over 30 years. We have been written about in "The New York Daily News", "The New York Times", "The New Jersey Law Journal", "Fortune Magazine", "The Philadelphia Inquirer", "The Atlantic City Press", "The Courier Post", "The Home News and Tribune" and many others. We were also featured on "NY Fox News" and "NY1 News". Check out the links on the left to get information about prices, hours, locations and directions to our offices. You can go to the "Contact Us" page to ask questions by e-mail or schedule an appointment. We will answer your questions or confirm your appointment by e-mail.